Tuesdays are known as Touring Tuesdays. They start at 6:30pm and are based at numerous locations. You can find these on the training calendar. 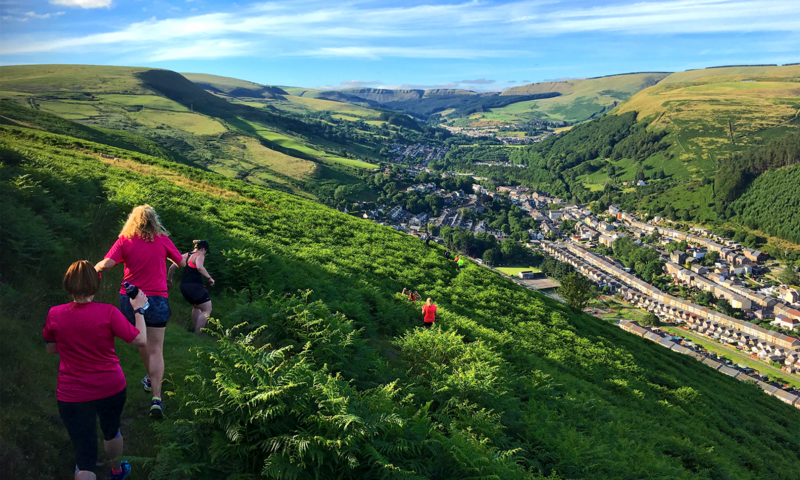 Wednesdays run from Pandy Park, Ynysawdre, CF32 9EN meeting on Terfyn Ynysawdre by the playing fields at 6:15pm to start at 6:30pm sharp. Thursdays run from The Life Centre, Ogmore Vale, CF32 7AJ arriving at 6:15pm to start at 6:30pm sharp. Occasionally Wednesday sessions are replaced by track sessions (when advertised on Facebook – usually the first Wednesday of the month) held at 7:30pm on the athletics track behind the Halo Leisure Centre in Bridgend. Sunday trail sessions 8:30am start from advertised locations on the Facebook page weekly. Sunday training sessions where anyone is welcome and we cater for our zero to hero beginners starts at 10am from Pandy Park as per Tuesdays above.